I didn't realize that it would be nearly-April and I would still be talking about warm things. 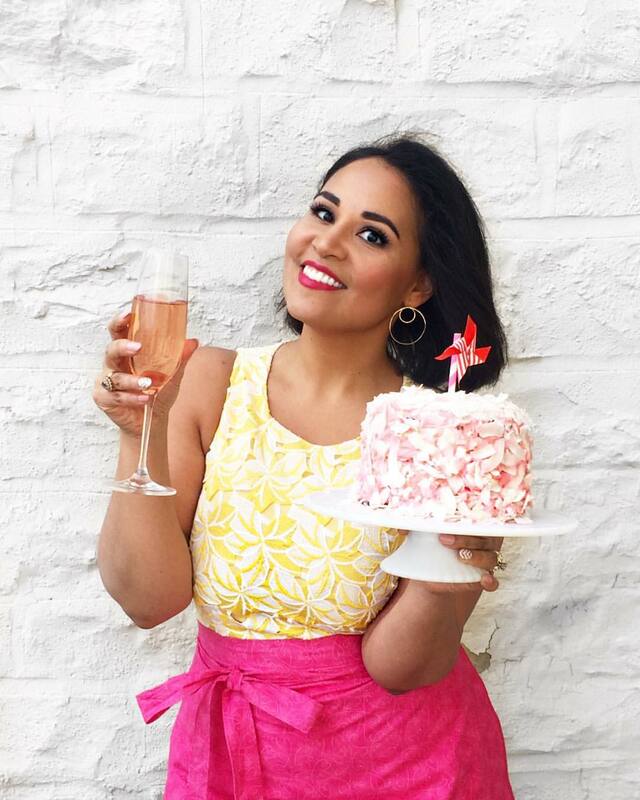 This should be the season for fresh salads, sparkling cocktails, and pretty pastel sweets. There should be fresh flowers. Lighter jackets. Flats instead of boots. But...it isn't time yet. And so I'm finding ways to warm it up the only way I can--from the inside. Ginger tea has long been one of my favorite beverages. In fact, it was the first recipe I posted on this site, a little over 6 year ago. I love it because it's hot and spicy, with a warmth that's deeper than the steaming mug of tea. 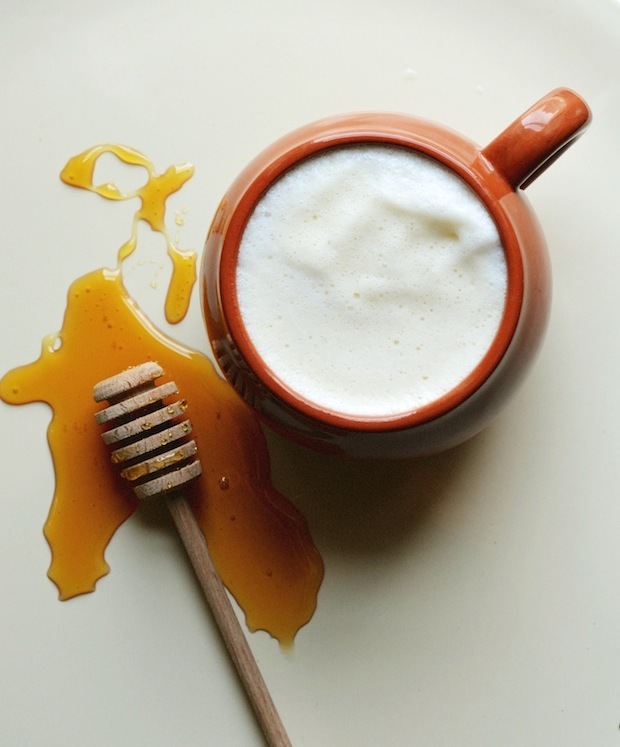 Though I typically drink it plain or with a splash of cream, I recently have fallen in love with a new way of sipping it--topped with a frothy pile of steamed honey cream. It's a simple addition, but tastes like pure luxury. I heat heavy cream with a few teaspoons of fragrant honey and then use a hand-held milk frother to whip it into a thick, bubbly foam. You can use a blender if you don't have a frother, but I really recommend you get one. They're inexpensive (mine was about $17) and so so useful. I use mine every morning, turning a simple mug of tea or coffee into a decadent treat. The sweet foam is light and dissolves gently into the spicy tea with each sip, creating the absolute perfect drink for chilly days. Special equipment: Milk frother (like this one). Combine the sliced ginger and water in a medium saucepan over medium heat. Bring to a boil, then lower heat to the lowest temperature and let simmer gently for at least 30 minutes, or until the water has reduced by half and is a light honey color. Once the tea is ready, combine heavy cream and honey and heat in microwave or in a small saucepan until it starts to bubble on the sides. 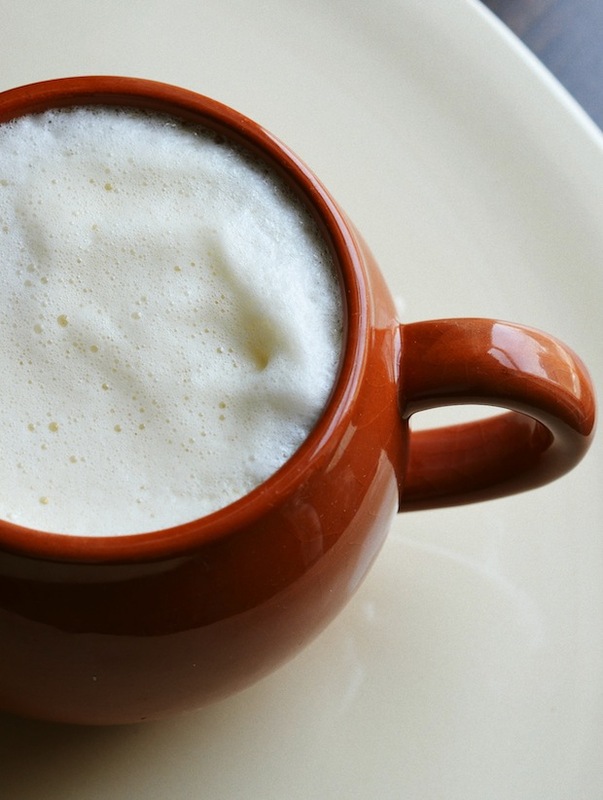 Use the frother to whip until the cream has tripled in volume and is fluffy and airy (can also be done in a blender). 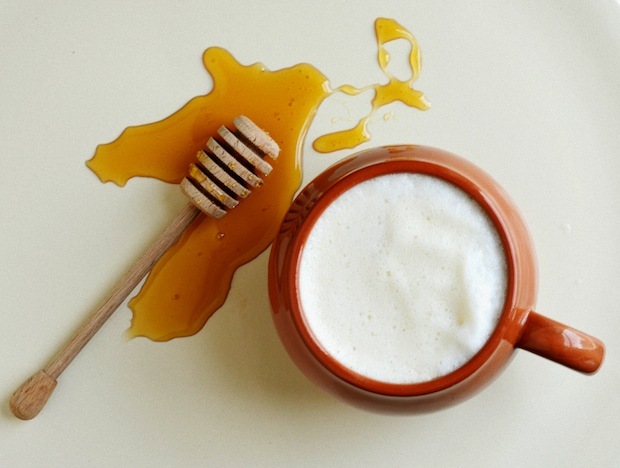 Strain and divide tea into two large mugs, and top off with the steamed honey cream. Drink immediately.